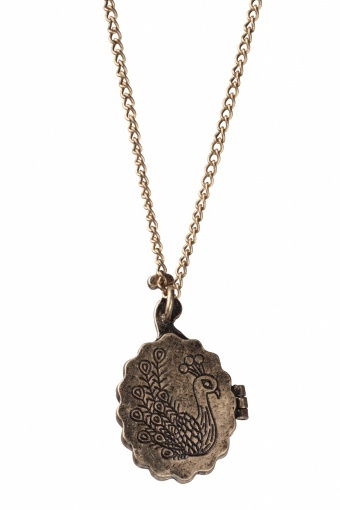 40s Delicate Peacock & Rose Locket necklace. 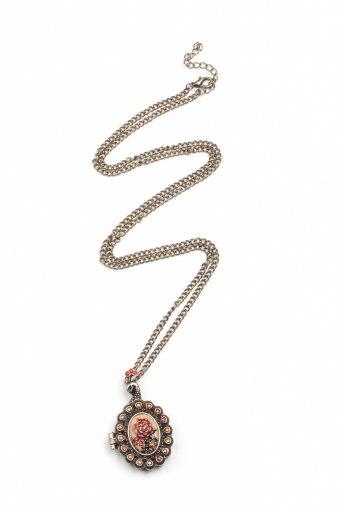 Very special long necklace in antique-look gold tone with a richly decorated openable locket. 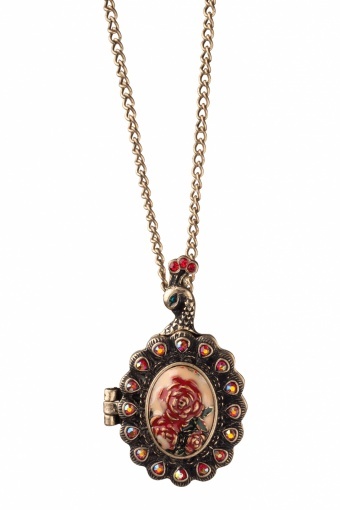 The heart of the lochet is enamelled in a rose pattern. The frame is decorated with very special rhinestones and the inside and back are richly engraved. 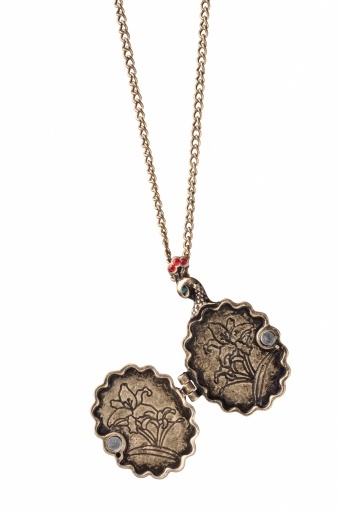 The locket closes with a magnet.